Couristan Bromley Novia Ivory Caramel Black Area Rugs Novia Ivory Caramel Black / 2' x 3'11"
Novia Ivory Caramel Black / 2' x 3'11"
Keeping up with today's hottest decorating trends, the traditional, plush features of original shag carpets have received a modern makeover with the introduction of the Bromley Collection. Power-loomed of a unique blend of wool, Courtron polypropylene and soft polyester, Bromley's thick, heavy surface pile features the finest fibers woven together to create a cozy, stylish area rug. 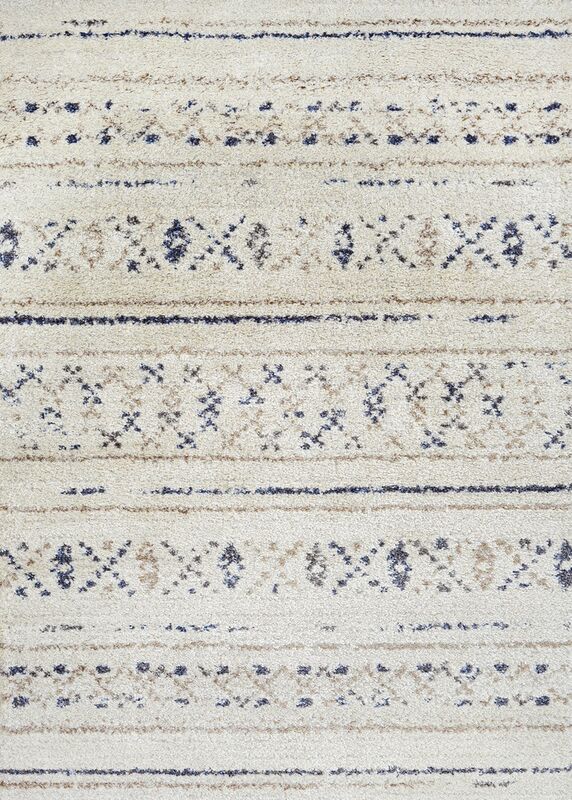 Featuring an array of decorating choices, which includes both solid colors and Moroccan-inspired designs, Bromley offers a luxurious, textured appearance and feel that is created through the utilization of differing thicknesses of fibers. The wide selections of colors, ranging from Ash to Bronze to Sand, as well as the Moroccan-inspired designs are sure to be the perfect addition to any casual-contemporary interior. The Bromley Collection not only offers functionality, but a stylish, modern twist on a classic favorite.